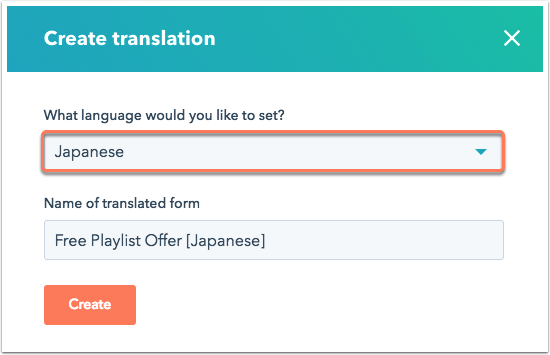 Create a translation of any of your HubSpot forms and translate all form fields and values into your chosen language. 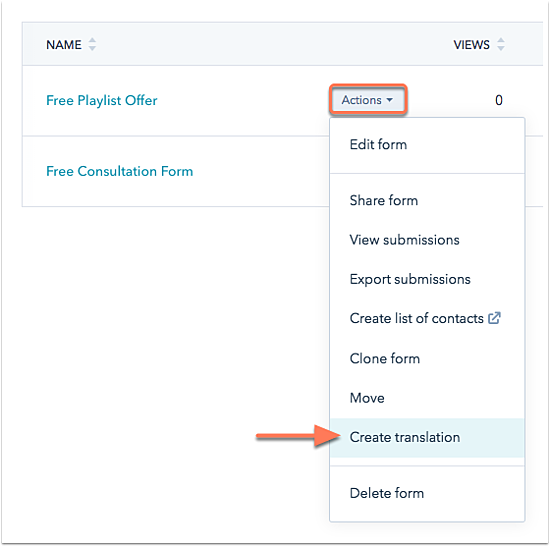 Hover over the form you want to translate, then click the Actions dropdown menu and select Create translation. In the dialog box, click the What language would you like to set? 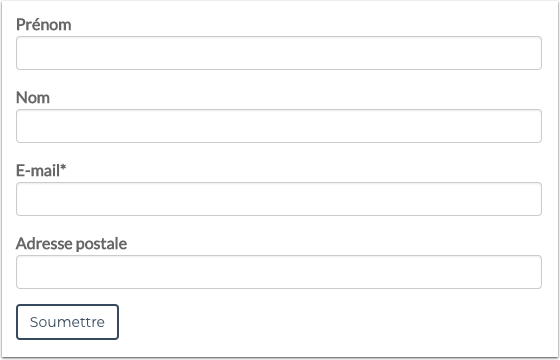 dropdown menu and select a language for your translated form. Edit the Name of translated form. By default, the translated form will have the selected language appended to the original form name. You'll be directed to the form editor for a translated clone of your original form. The default HubSpot properties used as your form fields and the submit button will translate automatically into your chosen language. Any error messaging with also automatically translate. The Help Text, Placeholder text, and Default value will not be translated, but you can manually edit these free text fields to match your chosen language.